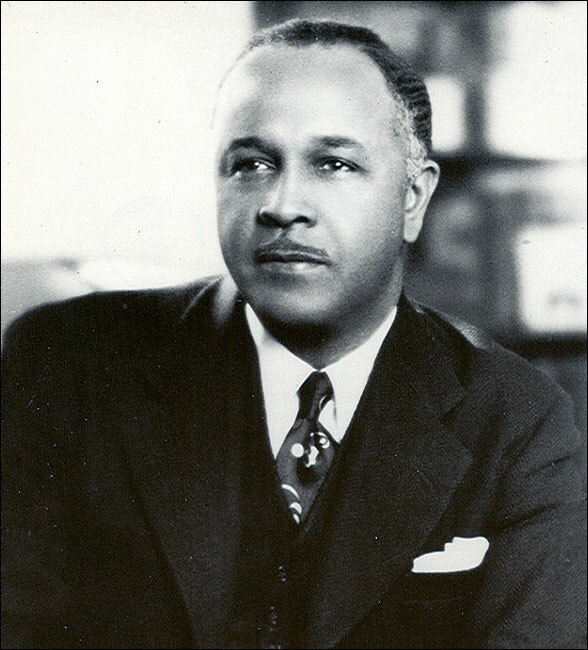 Percy Lavon Julian was born on April 11, 1899, in Montgomery, Alabama. His father, James, whose own father had been a slave, was employed as a railway mail clerk, and his mother, Elizabeth, was a schoolteacher. Among his childhood memories during the Jim Crow era was finding a lynched man hanging from a tree while walking in the woods near his home. Both of Julian's parents were graduates of what later became Alabama State University. 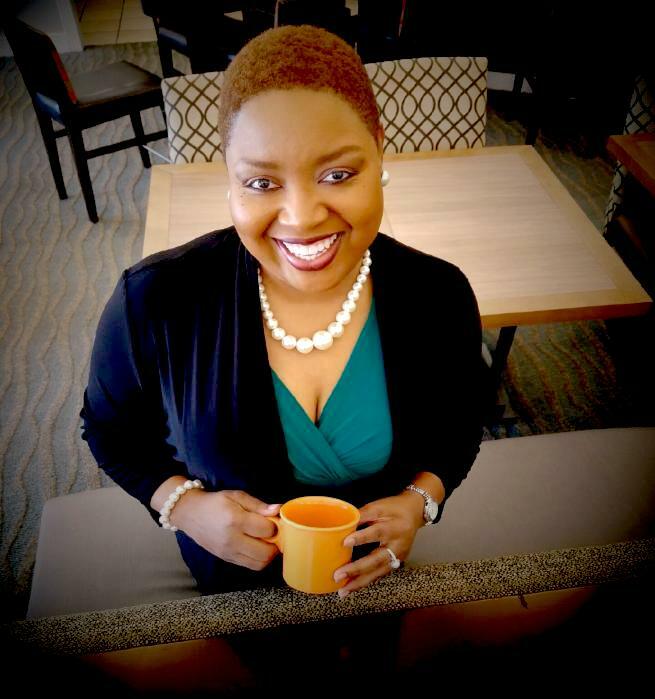 At a time when was it extremely rare for African-Americans to go beyond the eighth grade, his parents steered all six of their children toward higher education. Julian attended DePauw University in Indiana, which accepted few African-American students. The segregated culture did not allow him to live in the dormitories, and his first off-campus boarding house refused to serve him meals. He later found work doing odd jobs at a fraternity house. In return, he was allowed to sleep in the attic and eat at the house. He graduated from DePauw in 1920 as a Phi Beta Kappa and valedictorian. 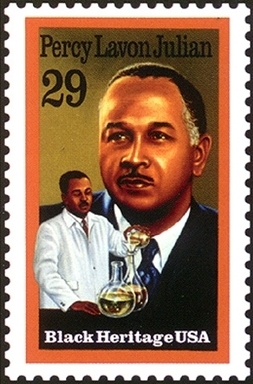 After two years as an instructor at Fisk University, Julian received a fellowship to Harvard University, where he obtained his master's degree in chemistry in 1923. However, worried that white students would resent being taught by an African-American, Harvard withdrew his teaching assistantship, making it impossible for him to complete his Ph.D. there. After attending West Virginia State College for Negroes, and later teaching at Howard University, he received a Rockefeller Foundation fellowship in 1929 to attend the University of Vienna, where he earned his Ph.D. in 1931. In Europe, he felt unburdened from the racial prejudices that had stifled him in the States. Julian married Anna Roselle in 1935, and they had two children. 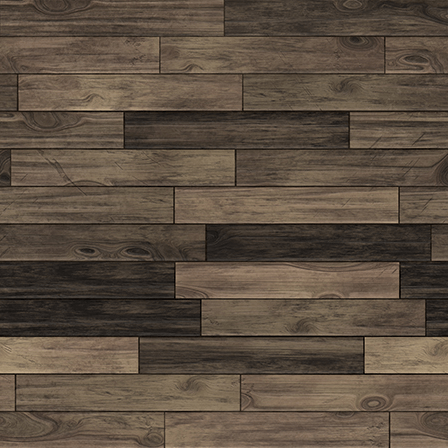 He became director of research for the Glidden Company's Soya Products Division in Chicago in 1936. In 1950, the family purchased a house in Oak Park, Illinois, but before they moved in, it was firebombed on Thanksgiving Day. It was attacked again in 1951. Julian received more than 130 chemical patents. As a pioneering research chemist, he laid the foundation for the development of cortisone, corticosteroids, and birth-control pills, and perfected methods for the mass production of hormones. In 1953, he started his own company, Julian Laboratories, Inc. When he sold the company in 1961, he became one of the first black millionaires. In addition to his scientific accomplishments, Julian was a social activist. 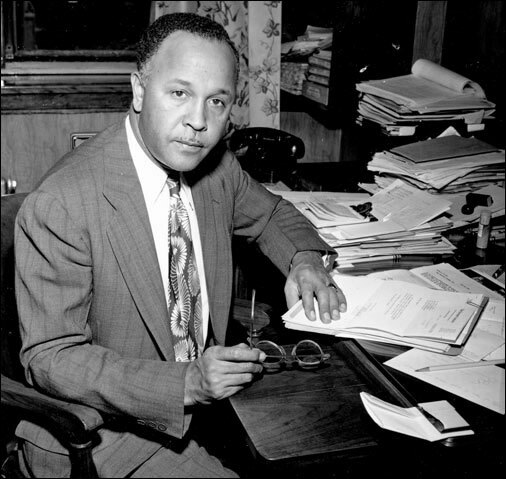 He was involved in several groups to improve conditions for African-Americans, and helped found the Legal Defense and Educational Fund of Chicago. He also founded the Julian Research Institute in 1964, a nonprofit organization that he ran for the rest of his life. In 1973, he was the first black chemist elected to the National Academy of the Sciences. Julian died of liver cancer in 1975. In 1980, DePauw University rededicated a building as the Percy L. Julian Science and Mathematics Center. In 1990, he was elected to the National Inventors Hall of Fame, and in 1999 his creation of a glaucoma treatment was recognized by the American Chemical Society as "one of the top 25 achievements in the history of American chemistry." The PBS series Nova created a documentary of his life, he was rewarded with a stamp issued by the U.S. Postal Service, and Google honored him with a Doodle.